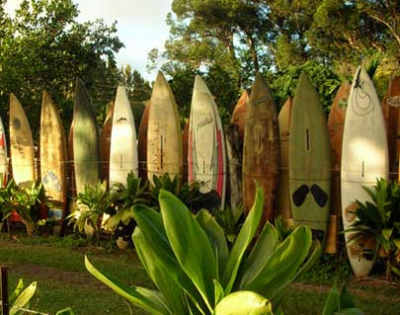 The best part is, the best places to surf are the nices places to be! 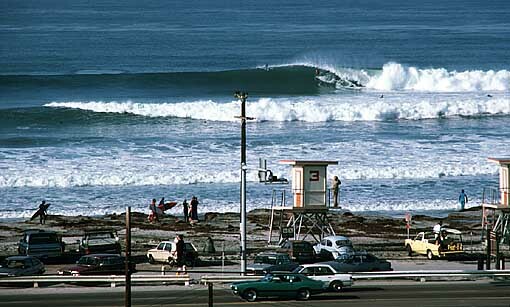 I had the chance to hang out in San Diego this weekend and the lifestyle alone is one reason to want to surf. 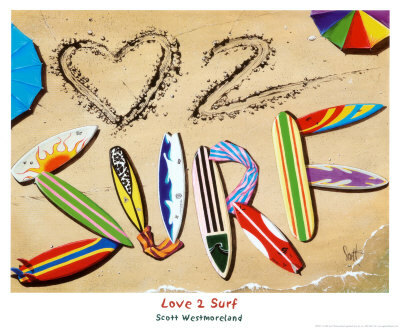 Imagine a life where you simply head out to the beach every day, tan, sleep, eat, and get your work out in by surfing. The surfers are so graceful and so talented! I tried to boogieboard, which is the easy-for-people-who-can’t-actually-surf kind of surfing, where you don’t stand up on the board. However, that aside, I was having enough trouble catching a wave like that. I can’t imagine how surf(board)ers can manage to catch such large waves and do such amazing moves. So try it, be a beach bum! Ride the waves, catch some rays! Or, if you don’t fancy the sun, you can always try one of the rare indoor surfing parks. Well, I guess if you can’t find one of those either, you should really consider either a trip down to one the numerous places where you can surf or try another outdoor sport. It is summer: go outside! Very helpful reading. Thank you, keep up all the work. Using that was doing all the work. After reading a number of your blogposts I must say i found this one to be very good. I have a web log also and would like to repost several snips of your respective content in my weblog. Would it be alright if I use this so long as I personal reference your web blog or generate a backlink to your posting I procured the snip from? Otherwise I realize and would not do it without your acceptance . I have book marked this article to twitter in addition to bebo accounts for reference. Nevertheless thank you either way! Nice reading. Very helpful, keep up all the work. Useful information. Thanks so much, keep up all the work. Very good written post. It will be beneficial to anyone who usess it, including me. Keep doing what you are doing – can’r wait to read more posts. After study a couple of the posts on your website these few days, and I really like your style of blogging. I bookmarked it to my bookmark internet site list and will be checking back soon. Pls visit my web site as well and let me know your thought. Can you message me with any hints & tips about how you made your blog look this awesome , I’d be thankful! Oh man! This website is amazing! How can I make it look this good . It is rare to run into writers who are able to deliver this sort of articles in a easy to understand manner. I am impressed, I have to say. Very seldom do I discovered a blog that is both educative and entertaining, and let me tell you, you have hit the nail on the head. Your thoughts is important; the matter is something that not many people are speaking intelligently about. I am very happy that I stumbled across this in my search for something relating to this. I believe you have created some really interesting points. Not too many ppl would really think about this the direction you just did. I am really impressed that there is so much about this subject that has been unveiled and you made it so nicely, with so considerably class. Excellent one, man! Genuinely special things right here. Masaže, btw. It’s the parts that I do understand.That is not advice.I was astonished at how much he had learned in seven years.